Each ArteNemus creation is individually numbered. Each ArteNemus work has an attached nickel-silver plaque identifying it as part of the exclusive collection of the brand. 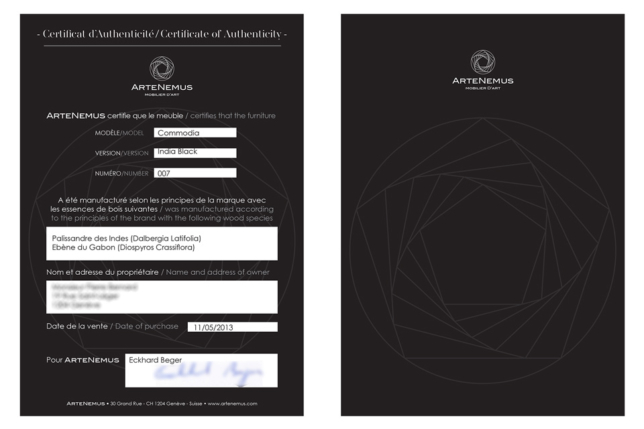 Each ArteNemus creation is delivered with a leather bound certificate of authenticity.